With Kenneth Moraleda as a guest artist, “Within and Without” by Paschal Daantos Berry, Deborah Pollard, Anino Shadowplay Collective and Valerie Berry finished a successful season at Blacktown Arts Center to critical acclaim. The season enjoyed good reviews, fantastic audience response with packed houses for every show and an unfulfilled waiting list worthy of another season. From Das 500 – an online platform for the presentation and generation of new ideas and dialogues within the arts: new critical arts writing space. It is no easy task to evoke the essence of place for an audience who is physically removed from it. In Within & Without, a portrait of the city of Manila, Paschal Daantos Berry, Deborah Pollard and their collaborators, Valerie Berry and Anino Shadowplay Collective, evoke aspects of the city that Google Maps cannot: the smell of wood and incense, the quiet scraping of ‘walis tambos’, and the complex combination of sweet and salty flavours in ‘adobo’. To borrow a phrase from the ever-erudite Joseph Rykwert, it is the sensual ‘fabric of the city’ that forms the conceptual basis of the entire production. What aspects of Manila that Berry, Pollard and their collaborators cannot replicate with verisimilitude they treat with pronounced theatricality. The work occurs within an installation/set made from miniature cardboard replicas of the city’s architectural icons. Clearly crafted by hand, these models combine a makeshift chaos with an attention to detail that lends an air of poetic fragility. Similarly, the use of shadow puppetry has a stylized tactility and ‘real time’ aspect that complements the episodic structure of the performance, while also being the most sophisticated way in which the performance unifies its ‘contemporary’ form with the conventions of an underlying ‘folk art’. Throughout the performance the audience is divided into smaller groups that are lead on a pseudo ‘tour’ of a small part of ‘mini-Manila’. These moments were for me the most affecting, having both a sense of authenticity and intimacy. My particular tour was based around the derelict Monument to Boy Scouts. Originally erected as a memorial to 24 boy scouts who died in a plain crash en-route to a World Jamboree, the dilapidated memorial is now encircled by trendy cafes, retailers and other hallmarks of bourgeois consumption. The story lacks the internecine conflict of the War years, and the ostentatious tyranny that typified the Marcos era, but was delivered by such an earnest raconteur that I found it a very moving example of Manila’s apparent habit of subsuming the tragedies of history into an environment of aspirational urban chic. It is an emphasis on sensual engagement with space that distinguishes Within & Without as an immersive experience, and takes the project beyond an exercise in mapping to one that is able to fully illustrate the tenacious connections between culture and place. The smells, tastes, sounds and stories of Manila are not merely an accoutrement of place; it is the articulation of the inhabitants and the means by which the artists express the tension of a city caught between the tumults of its history and its grandiose aspirations. 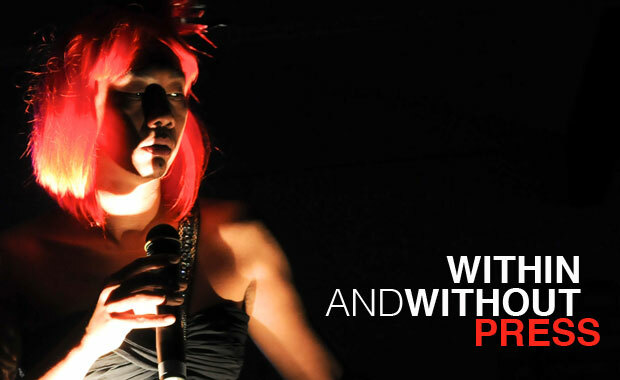 Within & Without was a collaboration between Performance Space and Blacktown Arts Centre. ——– Joseph Rykwert, The Seduction of Place: The History and Future of The City. New York: Vintage, 2002. From Australian Filipina Business & Lifestyle Magazine, the first and only woman’s lifestyle and business publication with the Australian-Filipino community in mind. Manila, the capital of the Philippines, is brassy and unapologetic. Repulsive yet compelling. Dirty yet clean. And for nine days only, a team of artists brings the sights, sounds and even the taste and smell of the city to Sydney in a rare display of ingenuity. For a limited time, Blacktown Arts Centre will be showing a highly engaging ‘performance and installation’ about Manila, the capital of the Philippines. Called ‘Within & Without: Portrait of a City’, the title refers to, at first, the historic walled city of Intramuros, a name that literally means “within the walls” in Spanish. But sometime during the creative process, the initial concept took a more ambitious turn. Paschal Daantos Berry and Deborah Pollard, the duo behind the project, decided not to limit themselves to Intramuros, which was ‘old’ Manila, but instead recreate modern Manila and its surrounds. To get the project to its final format, Berry and Pollard collaborated with actor Valerie Berry and the Anino Shadowplay Collective (Manila-based multi-skilled artists Datu Arellano, Andrew Cruz and Don Maralit Salubayba). Three other artists who rounded up the talented cast during the performance last night were David Buckley, Melanie Palomares and award-winning Australia-based actor, Kenneth Moraleda. It is hard to describe this performance-and-art show in detail without spoiling it for those keen to attend. At the very least, expect an ingenious art installation where the production team used cardboard, junk, toys, knick-knacks, and paper to recreate Manila, including the exclusive district of Makati to the ‘colourful’ districts of Ermita and Malate, down to Quiapo, Binondo (Chinatown) and even Quezon City. There was also some singing, some dancing and a lot of audience participation – keeping the show engaging throughout. Special mention goes to Melanie, David and Kenneth, who all gave star performances last night. To those who have never been to Manila, ‘Within & Without’ might be an eye-opener, even disconcerting. As Berry and Pollard wrote in the show’s program, they wanted to show Manila as a rambling, chaotic and somewhat schizophrenic city that is never silent. They wanted to show a city with scars, with character and with untamed beauty. To those who know Manila, ‘Within & Without’ will make you want to buy a ticket and jump on the next plane to the Philippines. The endearing cardboard cut-outs of Quiapo Church, of the cafes and bars in Manila and the signs pointing to SM and Jollibee are enough to make you nostalgic, homesick or both. There was even a segment during the show where I thought I was in Manila. 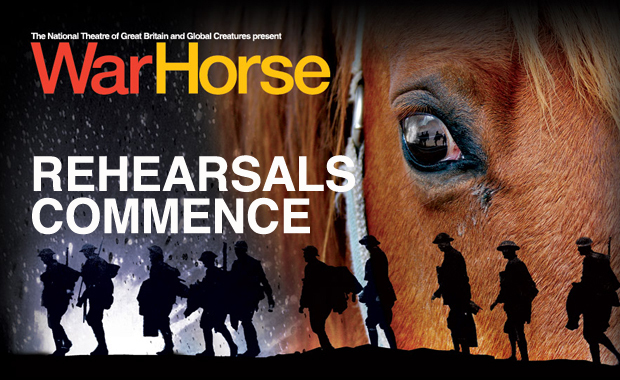 It is a shame that it will only run for less than two weeks (final night is on July 2). An extended period would have allowed Filipino-Australians from other states to experience this unusual show. But credit goes to Performance Space, Blacktown Arts Centre, Blacktown City Council and Arts NSW for supporting ‘Within & Without’. It would have taken generous funding and resources support to get a project as ambitious and left-of-field as ‘Within & Without’ off the ground. It is a cliché but you just have to be part of the audience, limited to 40 per showing, to understand why it’s an artistic endeavour that all Filipino-Australians will be proud of. It is not just a feast for the eyes but brings the sounds, smell and even taste of Manila to you – so much so that you forget where you are for a moment and think you are standing in the middle of a street somewhere in a city more than 6,000km away.